The alarm was given, the pit searched, the body found, and the wounds answered the description of them. The man whom the ghost had accused was apprehended, and committed on a violent suspicion of murder. His trial came on at Warwick before the Lord Chief Justice Raymond, when the jury would have convicted as rashly as the justice of the peace had committed him, had not the judge checked them. He addressed himself to them in words to this effect: “I think, gentlemen, you seem inclined to lay more stress on the evidence of an apparition than it will bear. I cannot say that I give much credit to these kinds of stories; but, be that as it will, we have no right to follow our own private opinions here: we are now in a court of law, and must determine according to it; and I know not of any law now in being which will admit of the testimony of an apparition; nor yet if it did, doth the ghost appear to give evidence. Crier,” said he, “call the ghost;” which was thrice done to no manner of purpose! “Gentlemen of the jury,” continued the judge, “the prisoner at the bar, as you have heard by undeniable witnesses, is a man of a most unblemished character; nor hath it appeared in the course of the examination, that there was any manner of quarrel or grudge between him and the party deceased. I do verily believe him to be perfectly innocent, and as there is no evidence against him, either positive or circumstantial, he must be acquitted. 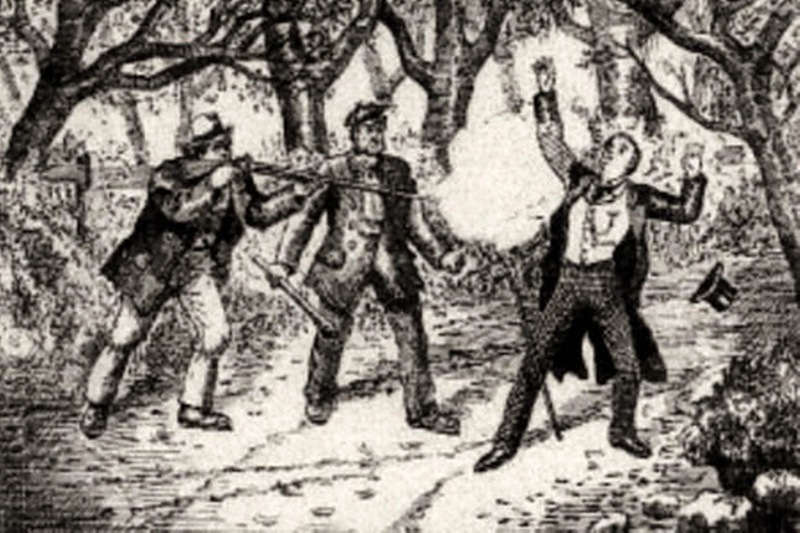 But from many circumstances which have arisen during the trial, I do strongly suspect that the gentleman who saw the apparition was himself the murderer; in which case he might easily ascertain the pit, the stabs, &c. without any supernatural assistance; and on such suspicion, I shall think myself justified in committing him to close custody till the matter can be further inquired into.” This was immediately done, and the warrant granted for searching his house, when such strong proofs of guilt appeared against him, that he confessed the murder, and was executed at the next assizes.